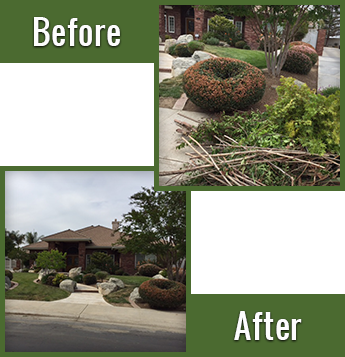 Remove unwanted tree stumps from your yard with land clearing and tree removal services in Bakersfield, CA, with the help of Art's Tree Service. Our team will visit your home and assess the stump prior to writing an estimate. After removing the stump, we then grind it up for safe disposal. Contact us to learn about our tree services. Just give us a call and send us a text with an image of the work that needs to be done. We can come out the same day or within 24 hours. Get rid of trees in open land spaces. Our arborists conduct a detailed assessment to determine a plan of action that works for you. Save your tree or improve the appearance of delicate plants by hiring us. Our skilled arborists work carefully to remove dead wood or branches. If you want to clean up your property but are unsure of how to cut trees so that they fall without causing damage, we can help. Our tree cutters fell trees in the direction you choose and confirm they're secure for your safety.